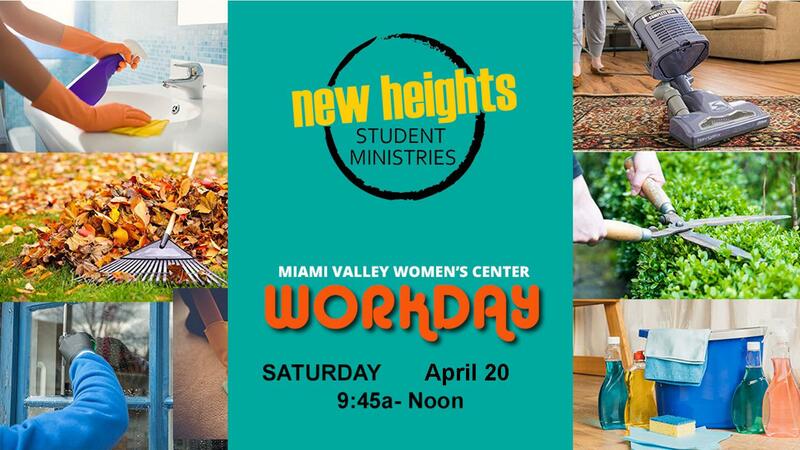 New Heights students head to the Miami Valley Women's Center (Kettering location) for their monthly service project. Bus leaves the church at 9:45a. Parents are welcomed and encouraged to serve along side their teens. 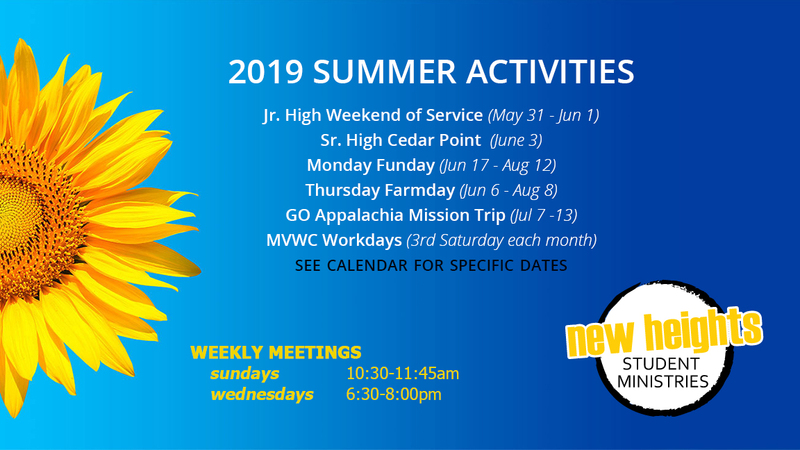 See what's happening this summer with New Heights Students!